1. God to use US Immigration to process as soon as possible my Green Card Visa, and by God's power to be finalized and mailed to me before the end of this year 2015. 2. I, Herieth Chengula & Bash Sesay to end up getting married early months " April" of 2016. By God's power Bash Sesay to engage me this December 2015. God knows how we love each other and really want to spend the rest of our lives together. God this is the man I want to be with coz he understands me, guide me, and love me the way I am. May God cover and guide our relationship with the Blood of His only Son Jesus Christ, and each day let our relationship grow strong and have a strong bond that nobody will be able to destroy it. Capture the heart and mid of Bash Sesay to only see me as his only woman and to his love to grow more and more each day in Jesus Name. 3. May God deliver my brother Eligeus Chengula from drug addictions. 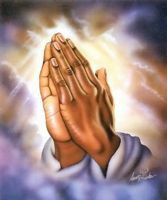 Please God my father heal my brother and let him recover as soon as possible. 4. My young sister Irene Chengula to be given a permanent employment at TANESCO before the end of this year 2015. 6. Pray for my parents health and long live life in Jesus Christ Name.